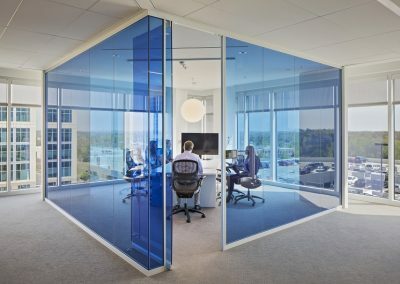 The goal of the architect for the headquarters of a global insurance provider was to put the pieces in place to achieve the highest level of LEED certification. 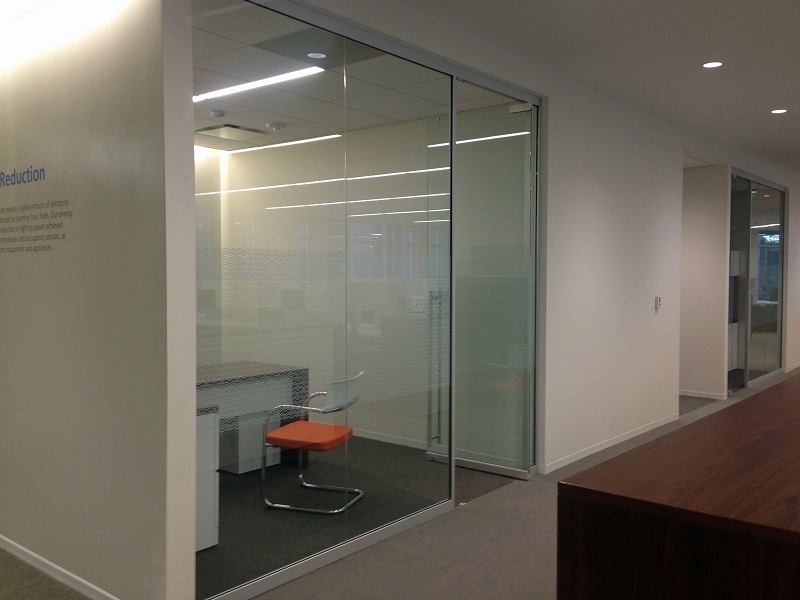 Slimline Glass Walls provide the interior glass wall solution for this high-profile project. 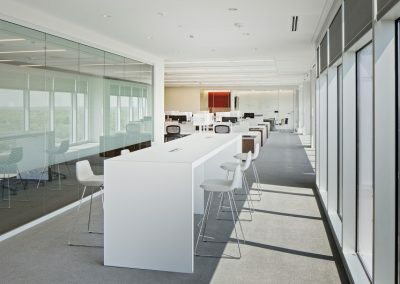 Several custom details were developed to satisfy the design vision of the architect. 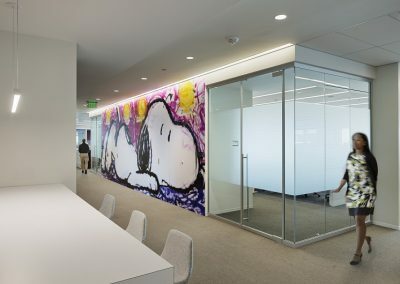 One of those details appears at the office front walls, where a wall-end treatment was designed to allow the glass wall to by-pass the drywall office dividing walls. The architect requested a bottom rail for the frameless glass doors that would continue the visual line of the glazing sill. 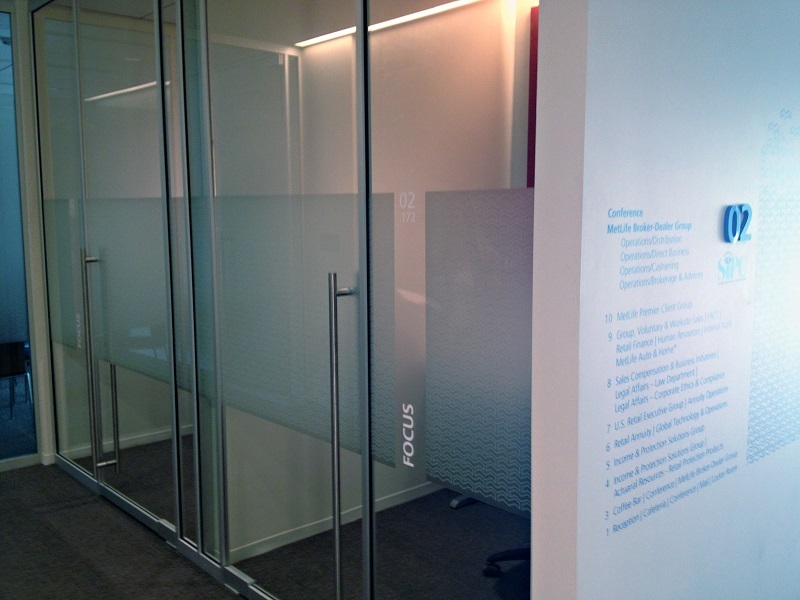 Custom blue glazing to match the client’s branding is used to create focal-point conference rooms on each floor. 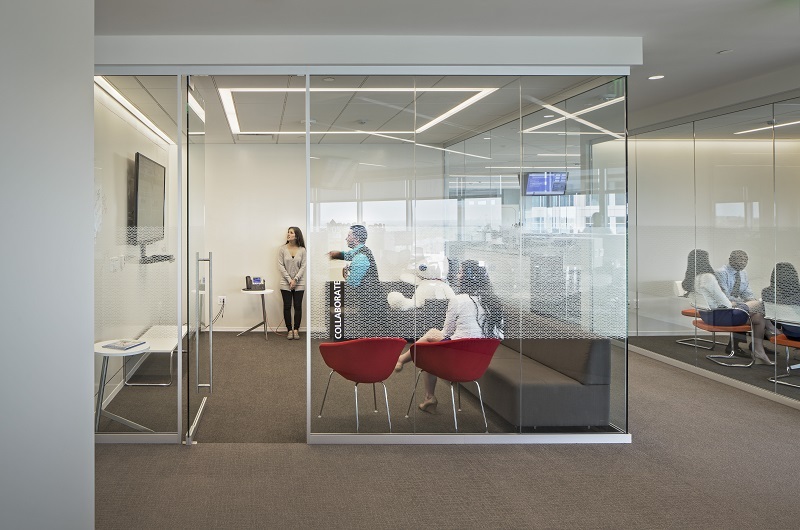 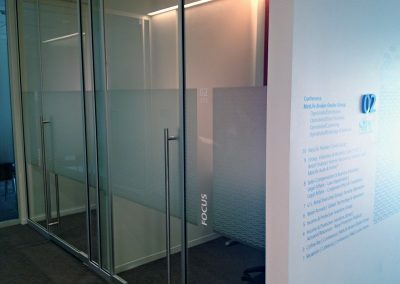 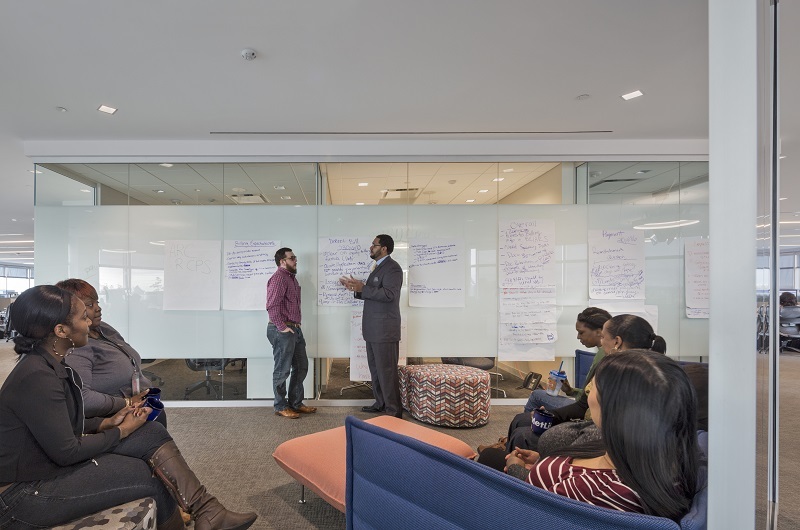 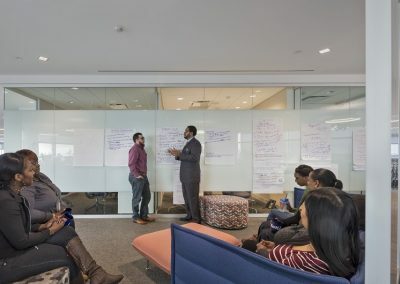 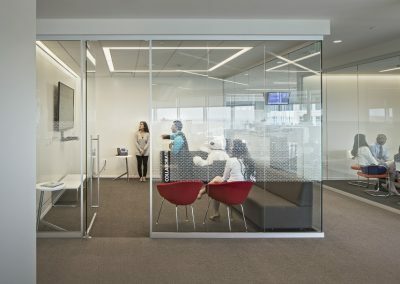 The collaboration rooms feature a wall of laminated glass which fused an opaque band to provide a writable surface, with clear glazing above and below.